Our portable basketball goals are commercial grade and adjustable; some are designed for both indoor and outdoor use. Perfect for school & church gymnasiums. 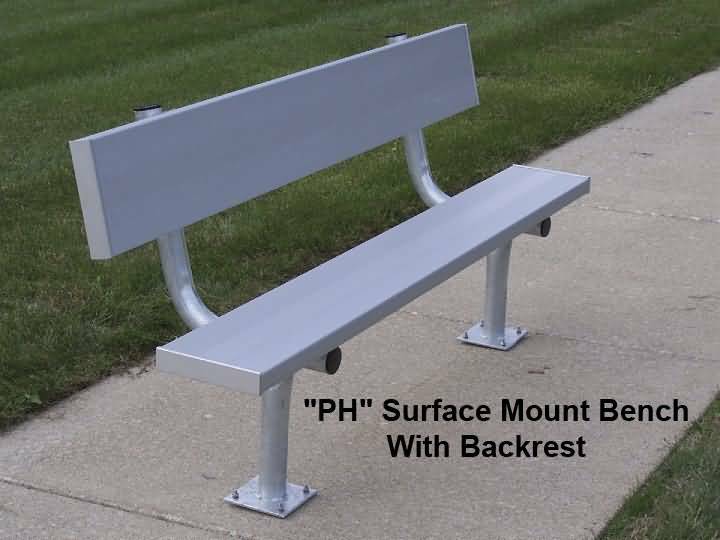 8 foot Surface Mount bench with backrest ,2 3/8" Galvanized Pipe Understructure, 2 x 10 anodized seat plank and backrest.